September is National Cat Month, and what better way to celebrate your cat than to give them their own little kingdom to rule over in the house? Many cats may wander around the entire home like it’s their castle, but giving your cat a designated relaxation and play area can do wonders for both their physical and mental well being. Here is how to create the perfect kitty corner. 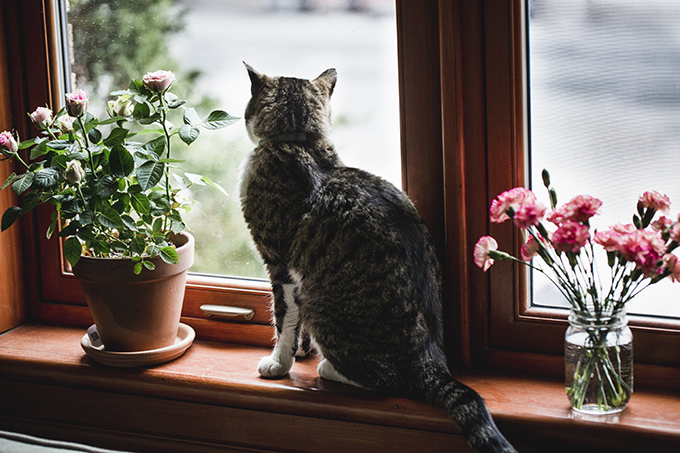 Windows are known as “Kitty TVs.” Cats love looking out the window and seeing birds, small critters, and humans pass by. If possible, set up your cat’s nook somewhere near a safe and secured window. Give your cat a perch near the window so she can thoroughly enjoy her programs. A cat truly does not have her own kingdom if she does not have a very tall and intricate throne from which she can watch over her subjects. There are tons of cat trees and condos available from pet stores, large online retailers like Amazon, and on handmade markets such as Etsy. Some cat trees and condos can get costly, so you may opt to go the DIY route instead. We have a great DIY tutorial here on how to make not only a cat tree, but also other cat toys and beds as well. 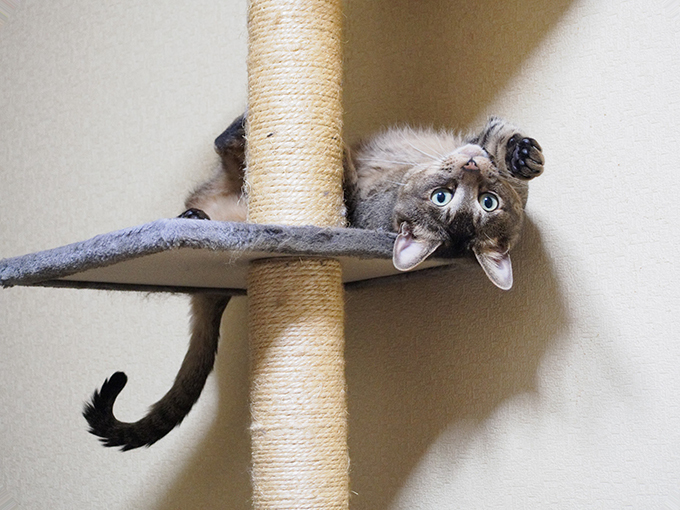 Having a cat tree means that your cat is going to be exerting a lot of energy playing and will need to refuel often. Always keep water available to your cat in his play space or corner. 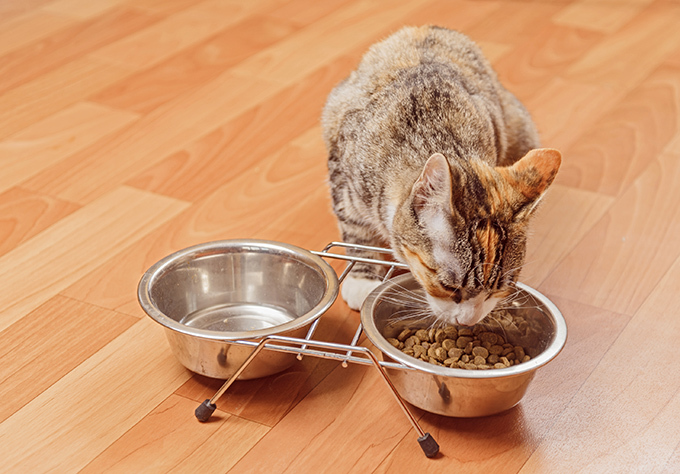 If your cat is at a healthy weight, keep some food out as well. 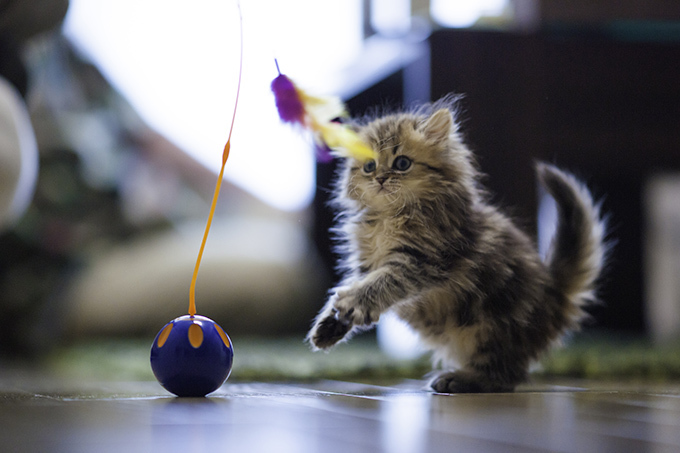 Cats need lots of mental stimulation, and providing a few different types of toys will help keep the King of the House occupied. If your cat loves treats, consider getting a puzzle toy that releases a treat once it is solved. There are also amazing timed laser pointers, tunnels, and more that your cat will enjoy in his palace. Some cats think they are an actual jungle cat as opposed to a domesticated indoor one. 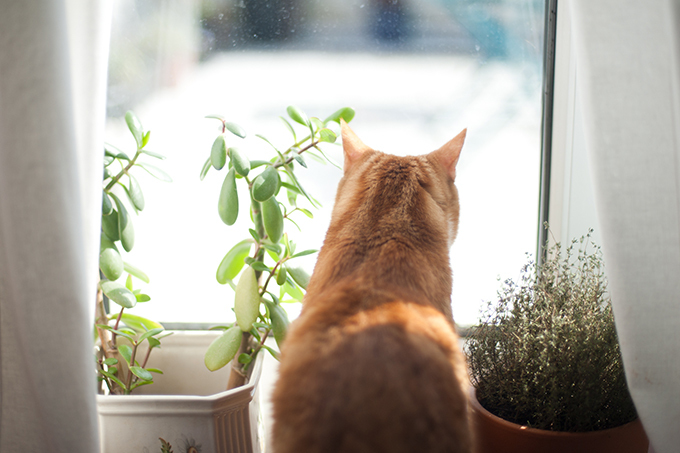 Give your cat the ultimate place to lurk and hunt from with some cat-safe plants. You may even want to have some Catnip plants around or these other herbs for which cats go wild. Even the most outgoing and social of cats cannot handle being in a terribly busy space all of the time. Set up your cat’s corner kingdom in a quieter room or area of your home. Your cat will appreciate having his own space to retreat to when things get too loud or busy for him. 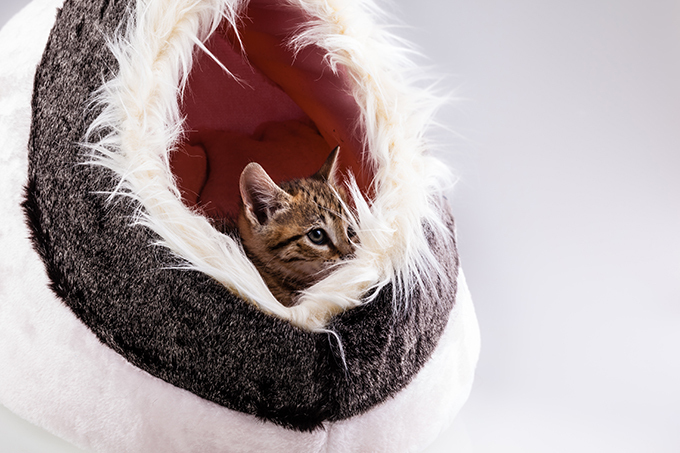 Yes, your cat will have plenty of places to lounge on her cat tree or condo, but everyone knows that cats need space…and multiple sleeping surfaces. For some cats, the most lux bed could be a simple pillow that they came home with. 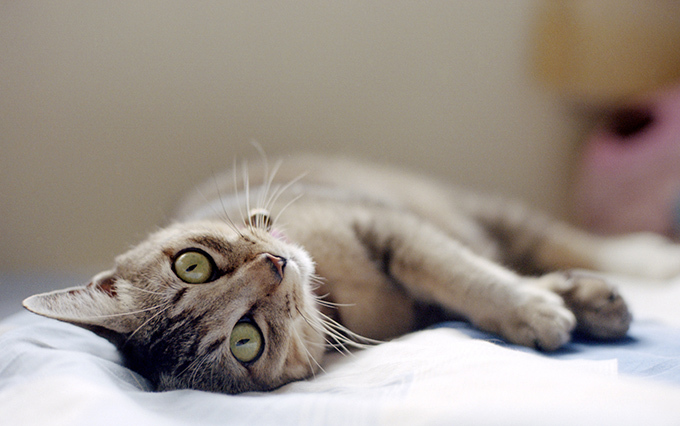 For others, it could be a Tempur-Pedic kitty mattress to help older, achy joints. If you live in a small space and do not have much room to create your cat’s own corner, don’t panic. You are still a great cat parent. Giving your cat any space – even if it is just his own little bed with a scratching post next to it – is fine as long as it is a space just for him. Does your cat have his or her own kitty corner? Have any DIY tips? Let us know in the comments.